Roscoe was a forest worker for over a decade before becoming a middle school teacher. He was a co-founder of the Ganas program that links Latino middle school students with Latino students from the University of Oregon MEChA. He retired from Eugene District 4j and taught future teachers at the University of Oregon. Pat spent twenty-seven years working in rural, northern Idaho school districts with extensive experience teaching special education K-12, school counselling K-12, directing a special education co-op and as school principal PreK-12. He is an active member of the Oregon Retired Educators Association, Oregon Education Association-Retired, National Retired Teachers Association, National Association for the Education of Young Children, OAARP Volunteer, as well as the Oregon State Grange. He currently has two grandchildren in public schools. His passion is to support public education that is locally controlled and developmentally appropriate, provides appropriate class sizes with wrap-around services, and prepares individuals to engage effectively in the democratic process. Jan taught ten years in adult basic education. In addition, she taught twenty-four years teaching special education as well teaching language arts and social studies. 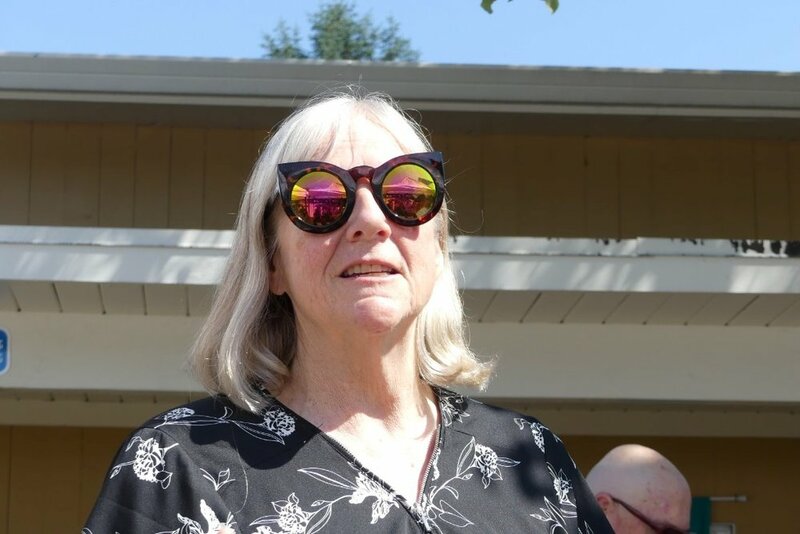 She is member of the Oregon Retired Educators Association, Oregon Grange, AARPOregon, National Retired Teachers Association and the Peace and Justice Team at the Parkrose Community UCC. Her interests lie in helping build excellent educational options for all kids. Larry taught in public elementary, middle, and high schools from 1976-2000 and was a teacher union activist. He is a part-time instructor in UO's College of Ed. Before teaching he worked as a discredited magician's assistant, a children's bowling ball sizer, and a ghost writer for several Nobel prize winners. He also a member of CAPE - Community Alliance for Public Education - in Eugene. In 2009, when Deb Mayer realized the real game changer was corporate reform aimed at privatizing our public schools, she organized a nonprofit, Great Schools for America, focusing on Edwatch, a database identifying anti-public education organizations. A couple of years later, Deb became a founding member of Oregon Save Our Schools (OSOS) a group that galvanized when concerned parents and educators recognized the destructive nature of Stand for Children. She is a co-director of Parents Across America and the Director of Parents Across Across America Oregon. Deb blogs about education issues and seeks out politicians to champion the cause of quality public education. She does volunteer grant writing for organizations that directly address issues of equity and poverty. She also moderates FB pages — Parents Across America Oregon, Parents Across America for Safe Technology, Oregon Network for Public Education, Don’t Teach for America, No on 98, and Key Math Lab PDX. Mary spent the first six of a thirty-four year teaching career in Lima, Peru. When she returned home, she taught Middle and elementary school aged children in Southern California. She was part of the launch and the politicalization of a bilingual education program and was part of the team that developed the English as a Second Language program in the Santa Ana Unified School District. For five years she was a team leader in Teacher Corps, a federal program established to improve elementary and secondary education in predominately low income areas. For the last ten years of her career, she was an outreach consultant for a drop out prevention program in Santa Ana, California.